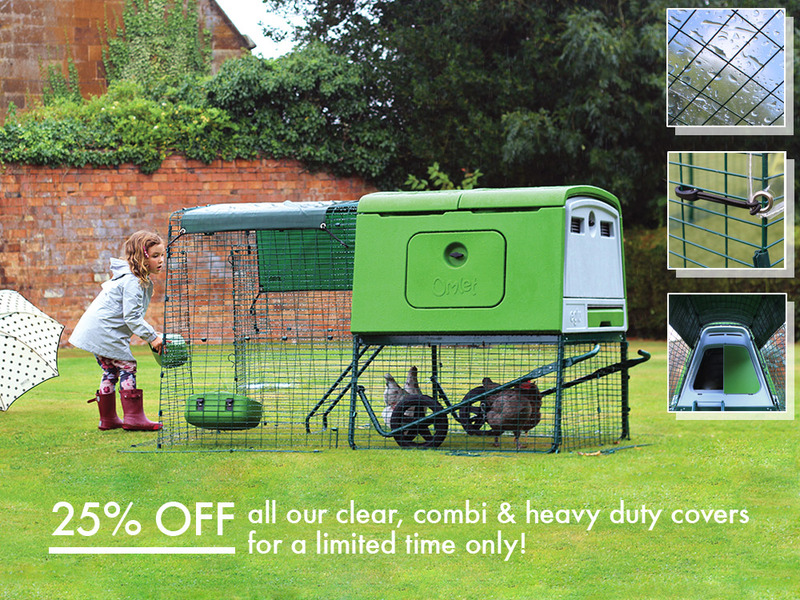 Keep your pets warm and dry this winter with 25% off all our covers. As the cold temperatures start to set in and the rainy storms become more frequent, you might want to think about investing in some extra weather protection for your Eglus. For two weeks we’re giving you the chance to stock up at a fantastic rate! Omlet reserves the right to withdraw the offer at any point. Offer is only valid from 6/1/17-20/1/17. Offer is subject to availability. Offer cannot be transferred to any other Omlet products. « Merry Christmas + Happy New Year!